A brilliant low cost promotional gift. Your promotional budget can be reduced significantly with this simple yet effective medium. 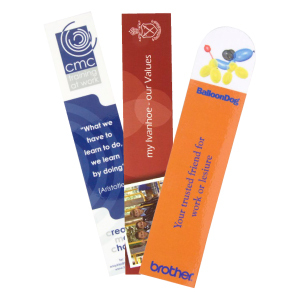 Print full colour on both sides of bookmark for no extra charge.